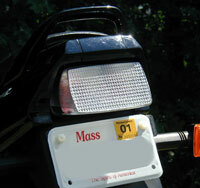 Clear tailight lenses are available for the older style GS500 but not for the newer style. On a recent ride I came across a 98 HONDA cbr1100xx (Blackbird in the UK) and noticed the taillight looks very similar to the gs500. Upon closer examination and measurement I can say with certainty that this will fit 2001+ GS500. It appears to be the exact same lens, same shape, same mounting locations, etc, only set into bodywork of cbr much more than on GS. It is NOT a direct fit. They DO look identical though. Differences are the cbr1100 lens is shorter front to back by about 3/8" and mounting holes are slightly wider than GS holes. The overall shape of the mating surface, where it mates to the brake housing is identical though. See the depth difference with the front of the lenses flush. 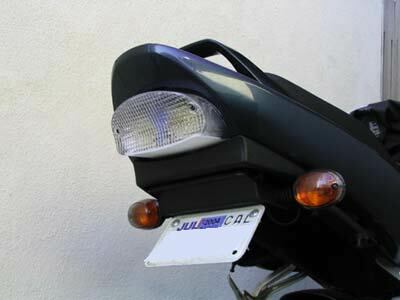 In order to make this work you need to cut off a part of the mounting bosses on backside by 3/8" or so (making them shorter) to make the leading edge of the taillight (facing front of bike) match up with the taillight lens. Dremel off about 3/8" of the mounting bosses. 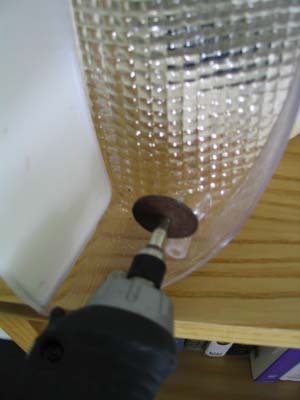 nNthing has to be done to the mounting holes. it bolts right in. Due to the 3/8" shallower lens I'm not sure if this will work with the stock bulbs. Not sure how much clearance there is from the bulb to the lens but with these LED's they work perfectly. 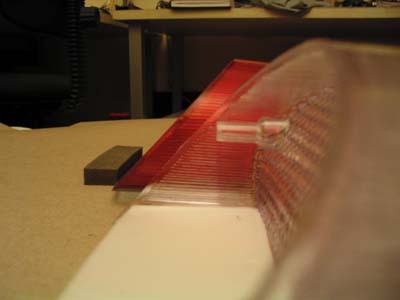 Clear Alternatives lenses come with red standard type bulbs. They cost $40. I've seen these on a bike and they are BRIGHT! Much brighter than JeffD's but much more $$ ($100/pair). Worth it I think.